Can our thoughts ever express absolute truths, or are they always just an approximation to reality? In his dialogues of The Republic (circa 380 BCE), Plato (428-348 BCE) defined the value of didactic literature, especially the theological and rhetoric values, while, at the same time, citing that “there is an old quarrel between philosophy and poetry” (Republic, Book V, 607b5–6). By the very use of metaphors, Plato’s Socratic-dialectic purported that poetry could only be a camouflage1; which suppressed the truth of our reality; therefore, poetry was incapable of conveying divine truths. This interpretation extended to the European Greco-Roman traditions and persisted dichotomous in contrast with the development of Medieval-religious literature of the West—paradoxically despite the dominant embeddedness of religious symbolism. It was from the thirteenth and fourteen centuries that the great Italian thinkers Dante Alighieri (1265-1321), Francesco Petrarca (1304-1374) and Giovanni Boccaccio (1313-1375) initiated a humanizing conception of the world. They identified themselves with a synthesis of Platonic philosophy by which metaphors in poetry were by now affirmed in positive terms. Although they were always moved by the legacy from antiquity; they were also interested in developing new literary trends that could tear away from tradition. This epoch became known as the Renaissance2: The beginning of the era of modern literature through the metaphysical exaltation of poetry. In De vulgari eloquentia (circa 1302), Dante Alighieri prepared an analysis of all styles and linguistic registers; but ultimately, he came close only to addressing the tragic or sublime style. This work focused on the work of the Sicilian School and on the theme of love by the Stilnoviste. 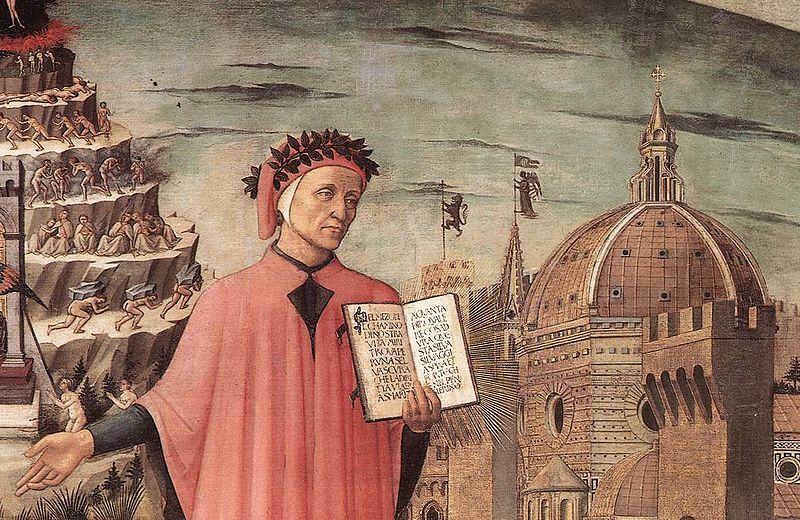 Dante recognizes that poetry could also convey divine truth, that is, that besides being pleasant, the allegorical expression of human passions could be useful–speaking in didactic terms. Francesco Petrarca also in La Carta X, 4 de Le Familiari (1349) addressed the question of allegory as an interpretative key to the poetry of the Middle Ages; for it established the use of allegory as the main similarity between the theological and poetic styles. In this regard, in his view, the origin of poetry was found in a special use of language to appeal to the divine. Then, alongside a biographical attention paid to the poet Dante, Giovanni Boccaccio also established a rigorous defense of poetry. As he put himself in an interpretative tradition of sacred as well as secular texts, he pursued in them a second level of significance. In his plea for poetry, Boccaccio acknowledged the service it provided by exalting its powers. His treatise in Latin entitled Genealogiae deorum gentilium libri–completed in 1360, and edited until his death in 1374–, was a kind of handbook for poets and readers of poetry, relevant for transmitting classical mythology from the Middle Ages to the Renaissance. His singular defense of poetry was based on different principles; its universality, its antiquity, the respect that it had always aroused among the powerful, its divine origin away from earthly matters, etc . . ., were synthesized in the idea that poetry attracted three essential aspects: truth, beauty and fictionalization. Moreover, the discipline, study and work of the poet which provided indispensable conditions for literary creativity did not hinder a divine origin, or the revelation of that which was sublime. Boccaccio attempted thus to show that when interpreting allegorically secular texts, these were capable to reflect a moral as well as religious truth. 1 Note: The term "camouflage"--the masking of nature--,which is used in The Republic, Books II, III and X by Plato (circa 380 BCE), differs from the term "mimesis" of the Greek mimēsis--in a laudable sense of imitation--which is not use until 1550. Very little is known about my maternal great-grandparents, Elogio Tortolero and Paula Ojeda, except their being owners of a large estate in the south of the State of Carabobo Venezuela circa the nineteenth century. His descendants, my grandparents, Rafael Tortolero (born in 1893) and Marcolina Rivero (born in 1898), inherited extensive lands which they worked as cane growers and coffee farmers in the mountains, known as the “Fundo (buttocks) of Jorge” [taken after the name of my great-great-grand father]. The lands are officially known as “Banco Largo,” near the village of Bejuma in a beautiful region of Venezuela. Since colonial times, it was known that my mother’s family was of Sephardi Spanish origin, from the Toledo region. 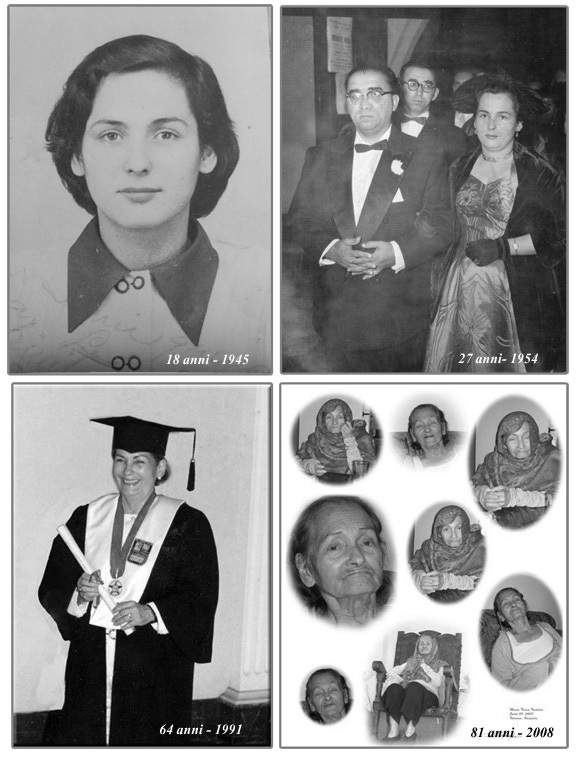 Maria Teresa, as my mother had been baptized, was born near Bejuma in 1927 at a large house, which she used to describe as having seven bedrooms. Since she was a child, she wrote poems inspired by her surroundings as well as the love she received from her parents. At age 11 she lost her mother owing to eclampsia from a failed sixth pregnancy at age 39, and the following year, she lost her father from pneumonia at age 46. As a result, between 1938-46, she attended boarding school at the Colegio de Lourdes in Valencia as ordained by her spiritual guide, “in locus parentis”, Father Francisco Martínez. At age eighteen, she completed her education as a school hygienist and secretarial accountant. The following year she contracted civil marriage to a Russian dissident, and though the marriage was consummated, her husband had unaccountably disappeared with all of her savings. As time went by, she sought out consultation from a lawyer, who eventually proposed marriage to her and became my father. They met while he was a labor union representative for the same Central Tacarigua Sugar Company near lake Valencia where my mother had started working at age 20. My mother married my father at age 24, and after eight pregnancies, only five children survived, of whom I am the second. For eight years, between the ages of 49 to 57, she was involved in a hard-fought divorce with my father. Having been married to a lawyer for 27 years, she returned to her studies and became a lawyer at age 64 in 1991, specializing in child welfare. when it’s love that’s divine. What is a good sense? One of the best phrases that can be used to define the concept of “a good sense” is certainly “the ability to judge and act with wisdom(1),” but we could also say that it is the result of a logical, albeit elaborate reasoning. Contrary to a good sense, a common sense often times condones the most farfetched ideas as if they were acceptable norms or rules of behavior. And so it is that ordinary men and women with a common sense seem nonchalantly to hold views resulting from a purely stereotypical nature. It may seem tempting to agree with such a habit which would reinforce a judgement bias as well as a sense of separateness. Thus, people would relate to each other as if they were images or the result of a collective phenomenon, rather than as they really are individually. Although reductive, these preconceptions of preference may also seem practical if they would contain differences between civilizations and cultures in order to establish boundaries. Consequently, conditioned by such beliefs, ordinary men and women will hardly restrain themselves from a myriad preconceived notions rather than looking for qualities in people as they really are individually. And so, they would prefer to attach themselves onto a system derived from forms of inequality. With the mere comparison between any Latin and any Anglo-Saxon civilization, one implies(14) and manifests such differences as if they were isolated worlds, i.e. for example, Italians are like ‘that’ while Americans are otherwise. The human condition is hence transformed into classifications that are dependent upon physical aspects or historical attainments. Thereby, we reason the systematization of superficially external qualities such as what would be Hellenized, Latinized, Anglicized, Slavicized, Africanized, Sanskritized or Brahmanized, Sinologized, Pacificized or even Aboriginalized, o Indigenized, etc., etc. … Fundamentally, we are speaking in terms of a type of reactionary and traditionalist sectarianism—banal and insular–instead of a common ground beyond linguistic and cultural differences: A common basis of interdependence, not on the ground of habits, appearances or absolutism, but in fact the product of a mind open to examination, inasmuch our reality has no true resting place. Thank heavens! It will be enough if our determination to overcome great obstacles is possible, without letting us be intimidated by the huge challenge that lies ahead. God willing! It can be that our misery may be drowned by the courage to observe it as it is. Let it not be ignored! It seems that in meeting our fears, perhaps fear itself has weakened our resolve, if it were not for an order that has to prevail, notwithstanding any ignominy. God, let it not be said that, at any time, we have surrendered into servitude. A tyrant can not prevail as long as he does not do what he wants, while rotting in his decay. As far as we know, one’s defeat can only be the result of one’s own blindness. May God help you and hold you to annul the cruelty of your own heart. Let’s keep it among ourselves! Do not be ashamed that we support your repentance. It is just a pity that you do not realize your life is cruel, and that you do not have the interest, passion, intensity, flame, to find an order to it all. Let it be known that we are all responsible: You are just a reflection of our collective feebleness. I say this, so that you may understand. Can we accept any responsibility if we sink into our own barbarity, our somnolence? No one can be dissociated from this possibility, without the courage of facing oneself. Every day and every moment, we lose our identity as human beings owing to our indifference. Let it not be so! Is it possible that we have hated you? It should be enough for us to wish to proffer the compassion that you have denied us. Before it is too late, we urge you: All one can do is to see the total disorder that is inside and outside of oneself. Observe it! One could see this disorder all at once, and it may be the only thing that matters, that is to say: to observe all instantly without contradiction. When one sees the danger of disorder, there is instant action, which is the total negation of all the culture that has led to it, which is within oneself. It is easy for it to be true. Well, it shall be true, unless you sink into the lethargy of indolence. Politics (from Greek: politikos, meaning “of, for, or relating to citizens”) is the practice and theory of influencing other people on a civic or individual level. It is no coincidence that since ancient times, many great thinkers have argued that, without ethics, politics are worthless. In the course of our lives we have had the opportunity to reflect on the inability of politicians to avoid discord and war, as we have also seen laws which can not enact peace and harmony among us. And it is possible to reflect on how our very survival seems to be predicated by this incapacity. One could argue that this condition is due to an inability pervaded by aggression and indolence. There is the inability of the United Nations, as evidenced by their own lack of determination. Urgent issues on genocide, on the prevalence of slavery, poverty and illiteracy worldwide are evaded due to the supremacy of greed and the fear to resist it at a level of total indifference. As a mediating institution its sole mission is, in effect, reduced to organize for the sake of being organized without an effective solution to anything. Just as the political ideologies of all nations (in democracy, fascism, capitalism, communism, socialism, either left, center or right) constantly clash in a vortex that make them all useless. The real revolution is repressed by our drowsiness, an insensitivity of our senses, when hypnotized by our collective entertainment on the everyday demands we inhibit ourselves from a good understanding of our despair. To this we must add the banditry and corruption prevailing in the world with the abuse of common goods to patent for profit even our own biological cells. And then we wonder how not to be part of a decaying system, when peace and politics seem so disparate, one in contrast to the other. Although this seems to be an irrevocable fact, when one denies any form of association with this system of duplicity, one can be truly responsible, one can face all iniquity with courage and common sense. But one must be independent of any divisive identity, sectarianism, of all barbaric tribal mentality, ie., without any political ideology whatsoever, of any nationalistic sentiment, regionalism, patriotism, idolatry of religious books and saints, the cult of leaders, human exploitation, greed and all of its obligations. One would have to be devoid of any sense of superiority, indifference and selfishness which divide us violating our sense of humanity. The real revolution is not a mass movement, but an internal revolution of the individual, within each of us, knowing oneself in peace and harmony with all our relations. When our responsibilities are met, peace exists within, all fear disappears, and the world is the better for it, but when we can not resist fear, greed, anger, hatred, jealousy or envy, quite known from ancient times, the world can also be influenced by such sentiments. What virtue can there be in Venezuela today, as one loses freedom, justice, peace and life itself in the name of an obsolete regime like the Castro’s? These are invaders, vampire gangsters, installed to establish a system that has nothing to do with any system, Marxist or socialist, who purport to be justified by virtue of comparing themselves to the alleged failures of other political systems. A political system should be primarily moral, otherwise is not worth a damn. How many times have we witnessed an idealistic revolution as a neurotic manifestation which invariably results in genocide? This is the fate of the current battle without truce imposed by the lawlessness that grips Venezuelans today, thanks to the Castro brothers and followers. It may sound respectable to speak of justice when in fact it is an irrational power struggle, when the poor are worse off than ever before, when gangland spreads, a parody of decency, a mockery of human rights. The solution is not in the books or in the time that it might take to educate the masses. The solution lies in purging the ignominious character that has been sown in the heart of the Venezuelans. The victims do not belong to a single sector but everyone at the hands of a narcissist delusional dictator like Fidel Castro in his effort to bring us his latest nefarious legacy. I urge you to join the protest of conscience and oust the Cuban invasion!